There are currently 5 recognised dwarf planets in our Solar System, namely Ceres, Makemake, Haumea, Eris and Pluto (this number will likely grow dramatically over the next few decades as we explore more of the Kuiper belt). 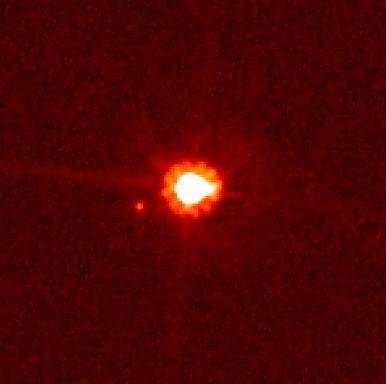 The discovery of Eris and its moon Dysnomia (as seen below) in January 2005 prompted astronomers to re-evaluate the definition of a planet in our Solar System. This ultimately lead to new planetary definitions and the demotion of Pluto and promotion of Ceres, much to the dismay of the general public (get over it). Pluto along with Ceres (and other recently discovered objects) were added to the "dwarf planet" list. I find point c (clearing of the neighbourhood) rather interesting for a few reasons, firstly as emphasized by Belgian-born astronomer Jean-Luc Margot in a recent paper, a planet can never completely clear its orbital zone, but "completely" isn't the standard being proposed here, making the wording a bit vague (or rather wrongly worded). There are currently a few formulas proposed to determine how much of an orbit needs to be cleared, you can read more about them over here. Secondly it is conceivable that a giant object (what denotes giant / dwarf in context of the universe?) will be able to meet the criteria in point c, it doesn't seem like size is an issue to the subject, so is "dwarf planet" the right wording? (but then again, this terminology apparently only currently applies to our own solar system). I also find point d interesting if we think about barycenters, observe the following animation that crudely demonstrates the Pluto Charon orbits. Now obviously most (if not all) objects orbit a barycentre, but at what point (looking at the massive barycentre above) do we make the call and say, lets officially promote Charon to dwarf planet status? And while we're busy redefining stuff, why not have a closer look at the Moon definition as well? 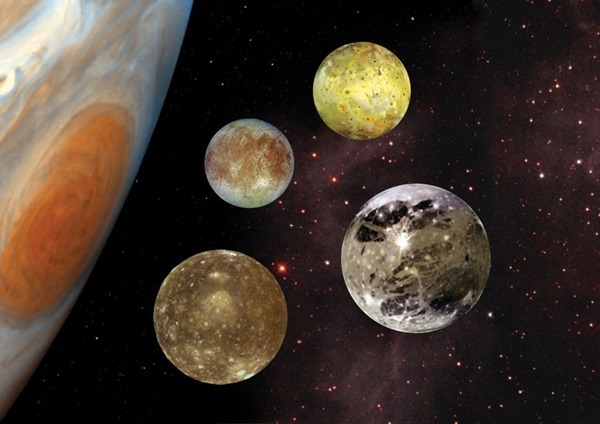 The Jovian System for example, boasts 67 moons, but it is only really the Galilean Moons (Io, Europa, Ganymede and Callisto) that seem legitimate in my opinion, the definition of a moon is so ill-defined it feels like if some backward alien drops his empty coke bottle out of his car window the tally might go up to 68. For the guys still miserably angry about the demotion of Pluto, think about it like this, once the smallest planet in the Solar System, Pluto became the largest of a new class of planets is that really a demotion? End of the day no definition will take away from the beauty and majesty of Pluto.